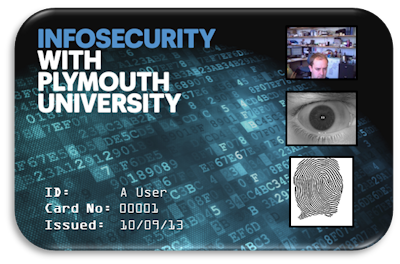 At the 2013 Science and Technology Showcase, the Centre for Security, Communications and Network Research (CSCAN) demonstrated a variety of biometric techniques and gave visitors to the 'Secure IT' stand an opportunity to create their own biometric identity cards. The booth was also featured at the University's 2014 Safer Internet Day. Note for parents/teachers: the booth is an educational resource and does not store or communicate any of the data captured in the production of the cards. 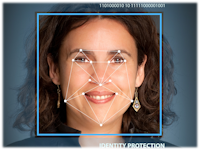 The images printed on the ID cards are deliberately low quality so that they cannot be used for any other purpose. 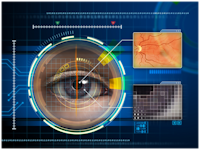 An extremely strong biometric approach - 1 in 1.2 million probability of an attacker gaining access! 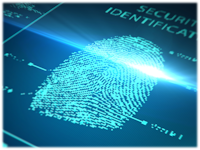 In all approaches, the technique works by firstly building a profile (template) of the legitimate user, and then comparing against this each time a user presents a sample to be checked for identification or authentication. 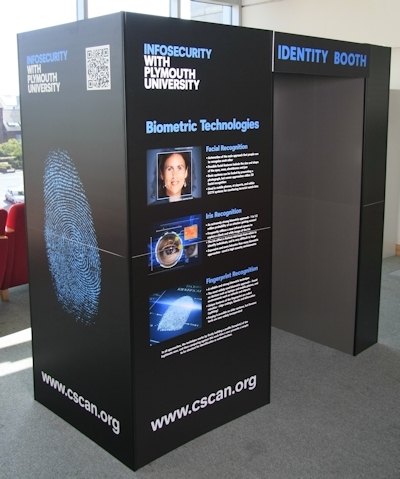 Working with colleagues within the centre (most notably Dr Nathan Clarke who developed the demonstration software), Paul Dowland designed and built the booth using plastic pipes for the main structure and specially printed panels to hold the equipment for the biometric scans. The booth is often used alongside another of Paul's inventions the 'Password Meter' which also has a web implementation available for public use.